Get our new interactive app! It’s free, available for both Android and iOS phones and tablets, and it’s a living work-in-progress to which you can contribute. 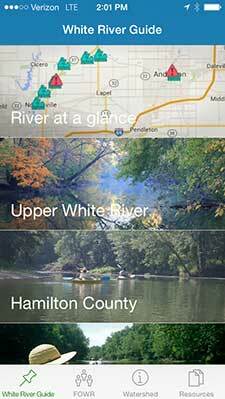 It’s our new White River Guide app. 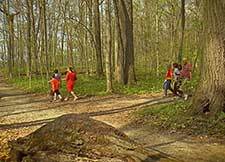 With it, you can explore the many opportunities for visiting the White River of Indiana, and learn more about the watershed — all at your fingertips. Learn more and download the app from our White River Guide page! 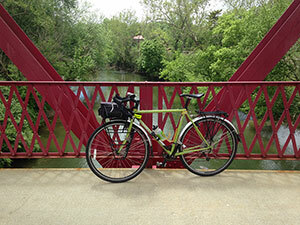 The Hoosier Environmental Council is hosting a bicycle adventure — the Ride for the Mounds! Details: Saturday, September 19, beginning at noon; 15-, 25- & 45-mile routes all begin and end in Daleville, Indiana. The ride will take place on scenic country roads roughly following the course of the free-flowing White River, near the proposed route of the Mounds Greenway. 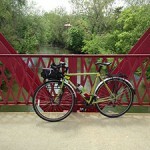 After the ride, there will be food, refreshments and a campout along the river in Daleville. Registration details (and, presumably, cost) will be posted at www.moundsgreenway.org. For now, you can view the event page at the Hoosier Environmental Council Facebook page. What do we lose with a dam at Anderson that floods seven miles of White River corridor and Mounds State Park? Videographer Mark Dawson shows us in an incredible collection of videos available on YouTube. Visit the Mark Dawson White River Videos to see for yourself.